Lucerne, 18th December 2018 — VARSY’S, the Luzern-based startup dedicated to promoting Swiss myths, legends & culture around the world, has been honored with the prestigious 2018 GOOD DESIGN AWARD®, one of the world’s oldest and most recognized international design awards. VARSY’S surpassed thousands of applicants from more than 47 countries to win the award for their outstanding design, aesthetics, innovation and enriching value to society. “It’s an incredible honor for our small company to be recognized by one of the world’s leading design prizes” says VARSY’S founder and CEO, Varsy Buchmann. “I hope that this award will help to raise international awareness of all the amazing stories and cultural heritage that Switzerland has to offer. 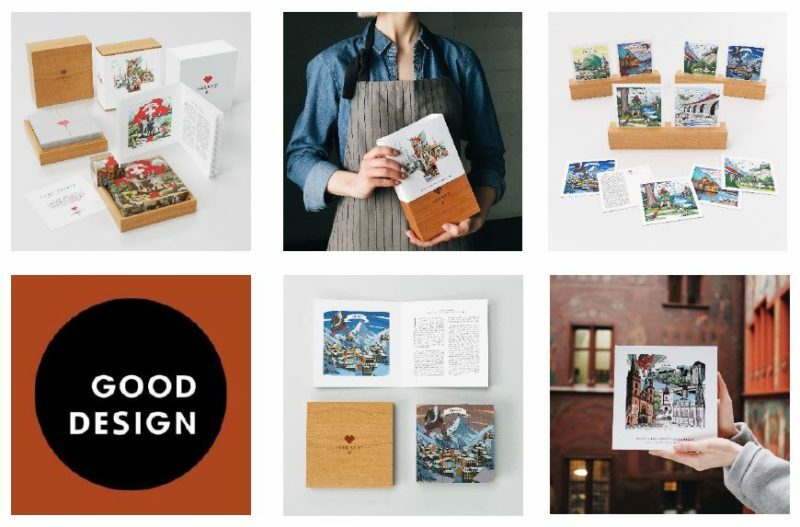 The company takes great pride in craftsmanship, sourcing sustainable woods and paper products, and using child-safe, eco-friendly inks and materials. “To make cultural heritage products, it’s important that we are conscious of our environmental footprint and the world we leave for our children. How we approach the industrial design of materials and packaging is just as important as the artwork and content. Everything at VARSY’S is Swiss-made” adds Buchmann. VARSY’S launched in January 2018, and is available all over Switzerland in more than 40 shops such as Orell Füssli and Schweizer Heimatwerk, as well as VARSY’S ecommerce shop. Follow VARSY’S on social media at Facebook and Instagram.